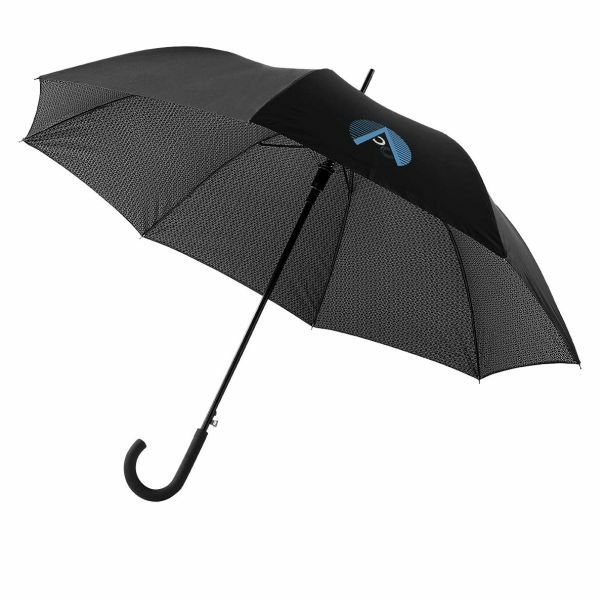 Cardew 27'' Double layer auto open umbrella. Umbrella with 2-layer canopy with art deco inspired interior canopy. Automatic opening. Pongee canopy and matching case. Steel shaft. Delicate rubberized handle. Packed in a Avenue gift pouch. Pongee polyester.